This soup is so easy to prepare not to mention super healthy and tasty. Cook the onion until soft then add the potato and stock. Simmer until the potato is tender. Add the broccoli and cook for 3-4 minutes. 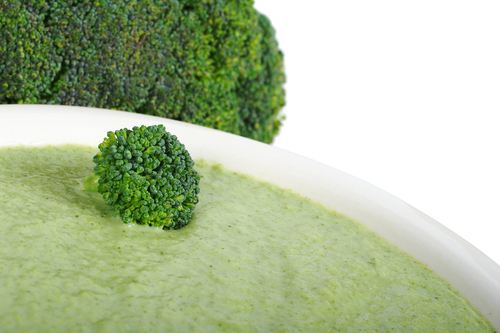 Make sure the broccoli is tender but still bright green then liquidize. Serve with cheese on top, you could also use a dairy free cream like Oatley.